You may have heard the term “light deps” thrown around, especially in the spring or summer. 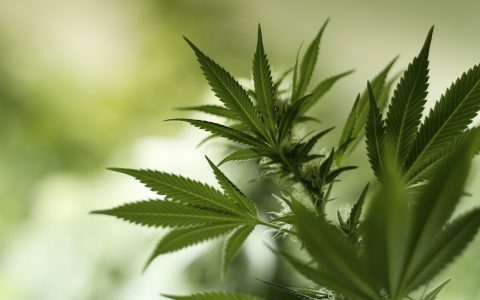 The term is short for“light deprivation,” which is a method of growing cannabis where you limit the plant’s exposure to sunlight, thereby controlling when the plants begin to flower. 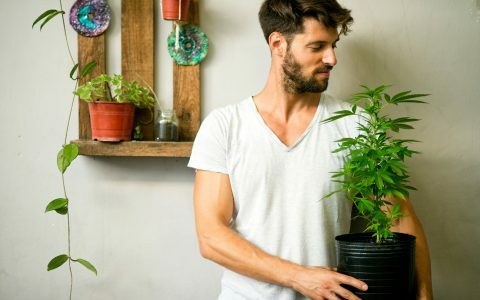 Growing with light deprivation lets you harness the benefits of both indoor and outdoor growing, making it an ideal method for cultivating cannabis. 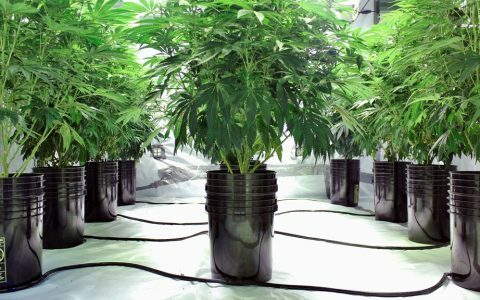 Understanding the different light deprivation setups and the benefits that come with each is the first step to implementing this method in your cannabis garden. 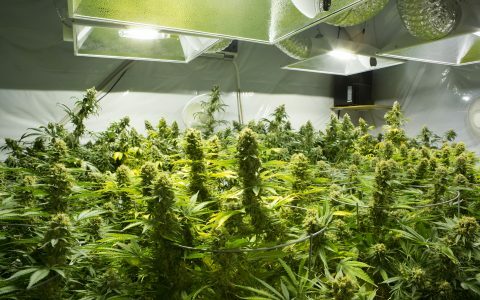 Growing Marijuana in a Greenhouse: What Are the Benefits? High-end light deprivation setups can be costly, but low budget options are available as well. When deciding which route is right for you, it’s helpful to understand the cost-to-benefit ratio of each price point. 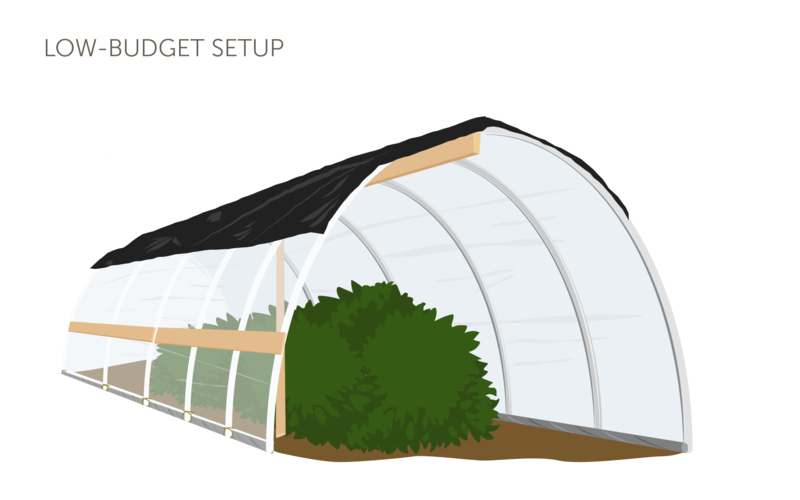 A low-budget light deprivation setup generally involves building hoop houses. With this setup, the garden is covered with clear plastic to help insulate the plants like a greenhouse, which will allow for longer seasons. The cheapest way to create hoop houses is by using rebar, PVC, and 2x4s. The rebar anchors the PVC that is then used to build a hoop house over the desired garden space, while the 2x4s help stabilize the structure. To control the light exposure in your hoop house, cover it using a light deprivation tarp. This tarp blocks sunlight, thereby controlling the light cycles for your plants. You can also moderate humidity and airflow in the hoop houses by including intake and outtake fans at either end of the hoop. Low-budget systems such as this work well, but they do require more manual labor and are prone to malfunction. You need to pull the tarps on and off at the right time every day to keep the plants happy. High winds can also snap the PVC, which can then puncture your light deprivation tarps. 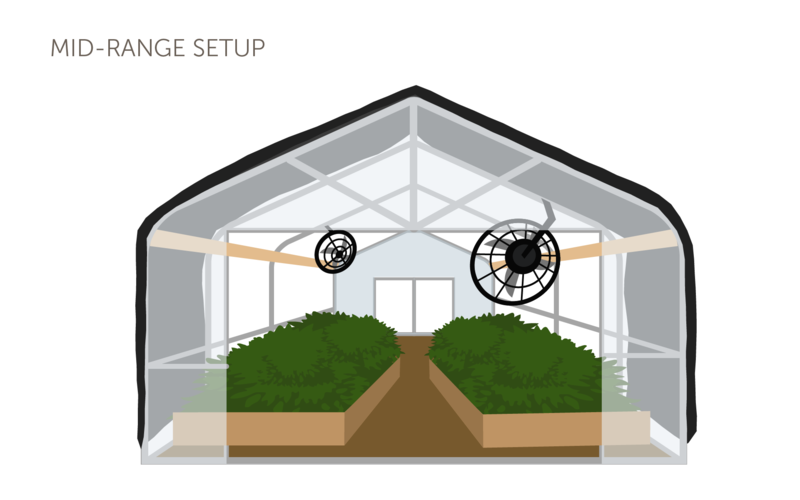 A step above low-budget setups like hoop houses, a mid-range system will include a permanent greenhouse structure. 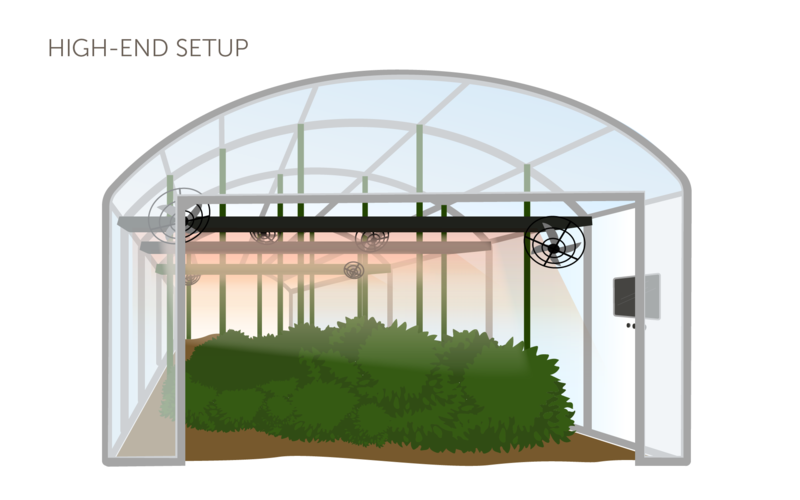 This solid-standing greenhouse will withstand winds and allow for a light deprivation tarp to be operated on a pulley system or mechanical arm, which helps alleviate manual effort. A greenhouse in this price bracket will have fans at either side that can pull fresh air into the space, and they can be set to run automatically to help control humidity. They may also include dehumidifiers and heaters to create longer seasons. High-end systems combine the best aspects of both indoor and outdoor farming. 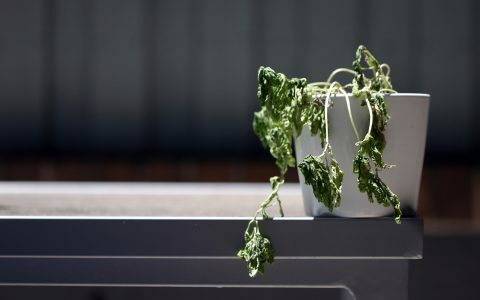 Climate control is entirely automated by computers that increase or decrease temperature and humidity according to the plants’ needs. Reliable and sturdy shutters can run on timers and block light in place of tarps. What’s more, high-end setups can also include grow lights. 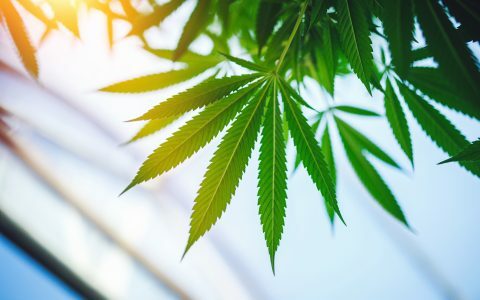 By having the ability to use both natural light and grow lights, cannabis can be produced year-round by using the sun when available and then relying on grow lights to supplement. Using natural light when available makes these systems highly profitable if you can afford the initial investment. 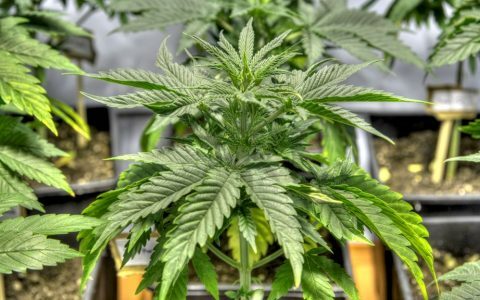 When it comes to growing with a light deprivation system, there are many benefits that lighten the leg work and financial burden involved in growing quality cannabis. Here are a few things to consider as you determine if the investment will be worth it for you. 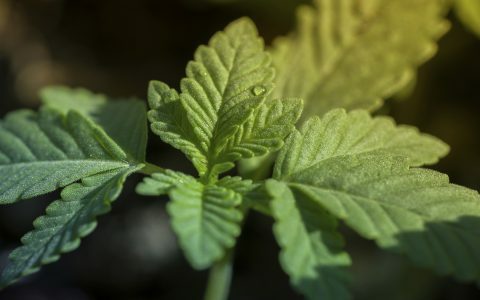 Growing cannabis under the sun produces an incredible product, but there’s also a laundry list of things that can go wrong, especially if you aren’t growing in the perfect environment. 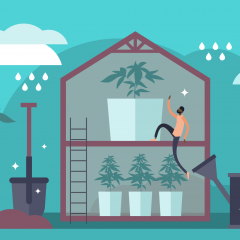 By growing in a greenhouse, you can protect your plants from damaging weather that can decrease THC production, break down terpenes, and cause your buds to mold. Also, in a greenhouse you can control the climate when necessary by using fans, dehumidifiers, and heaters. When you take away the hazards of growing outdoors and introduce the benefits of indoor climate control, you can create a product of superior quality while saving money on your electric bill. One benefit of growing cannabis indoors is the ability to produce cannabis year round regardless of the weather or natural sunlight. With light deprivation, you have the ability to harvest multiple times in a season, if not year round, depending on your setup. 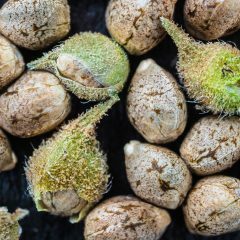 With several harvests in a year, you’ll increase profits from your garden and have the opportunity to run different strains in a given season. 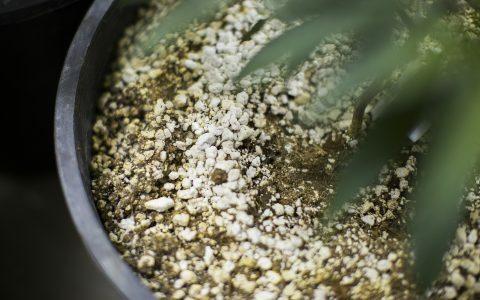 If your plants are looking sick, you can take more time getting them healthy before you switch to flowering. If you haven’t pruned your garden to your liking, you can hold off on flowering until you’ve caught up. Finally, and most importantly, you get to decide when your garden has grown to your satisfaction before you switch to flowering. 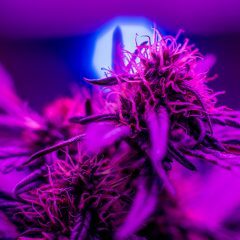 Light deprivation is an excellent way to produce quality cannabis at a budget price. It’s also a fun way to explore growing earlier and/or later in the season than you normally could when growing outdoors. If you have any experience with light deps, leave a comment below and share your experience and tips! if using this to jump start a longer flowering strain, at what point would you no longer need the light dep cover? 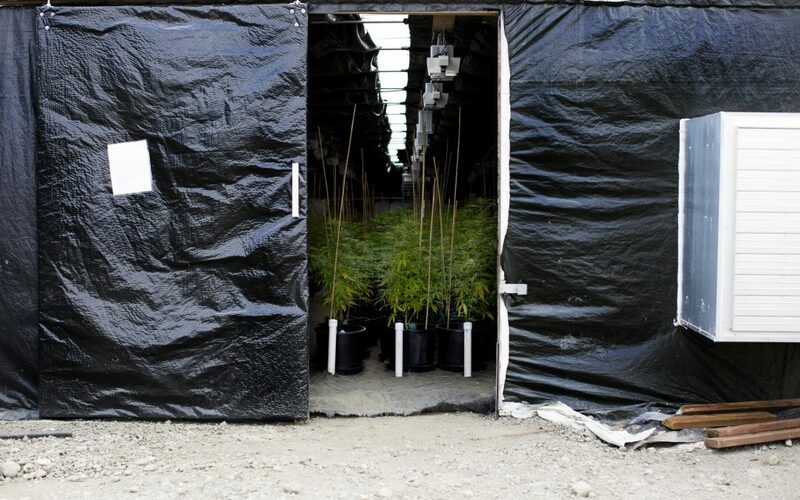 We know strains often begin to flower outdoors with 14 hours of daylight. 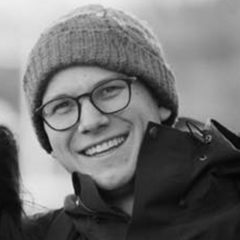 Would save those that do a manual cover a lot of work if they check sunrise/sunset for their area, to gauge when they can stop using the cover. When light deping does one need to change the humidity or temperature or would you leave both roughly the same for during vegetative grow?